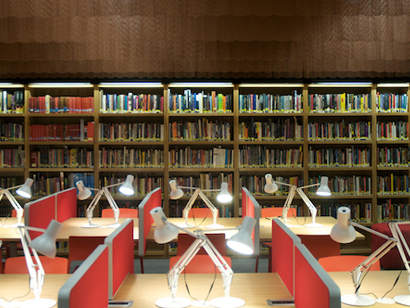 Are you a HE researcher who will be using the new BFI library regularly now and in the future? If so, bfiwatch would like to hear about your experiences – positive, negative or ambivalent. We are particularly interested in the availability and accessibility of HE research materials at the South Bank site and the progress of the digitisation programme. These are early days for the new library – your response will be invaluable in monitoring its development and value as the premier HE moving image research facility in the UK. All replies will remain private, and no individual comments will be published or made available to anyone else. Click here or on the Contact tab at the top of the page to submit your comments. This entry was posted in British Film Institute and tagged New BFI library, new bfi library research facilities, relocation of BFI study resources by pamcook. Bookmark the permalink. I had some issues using this library last week. There was an unbelievably loud chldren’s street/ performative theatre event going on just outside, which meant everyone was deafened and wincing. Also, because I arrived at 13.05, they told me I had to wait an hour to get the only book I had requested, although staff were at a loose end. At 2.15 I enquired but books had not yet come up from the basement. At 2.25 it transpired my order had been forgotten, so I finally got it around 2.45. This may sound trivial but I had to leave for home to pick up my daughter from nursery around 4.30 so the lost time made a huge difference and the hourly collection seems an unfortunate new development. I was happy to pay for membership and more availability of materials! The new space also seems rather small, as well as not very ‘sheltered’.